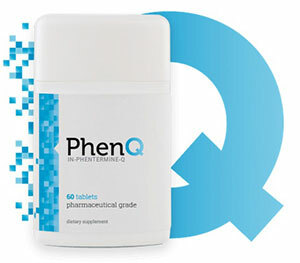 PhenQ is a diet pill designed to provide a multi-faceted approach to weight loss. According to the manufacturers (Bauer Nutrition) their capsules deliver such “superior fat-busting results dieters will be able to “ditch the other diet pills” and get the body they deserve. 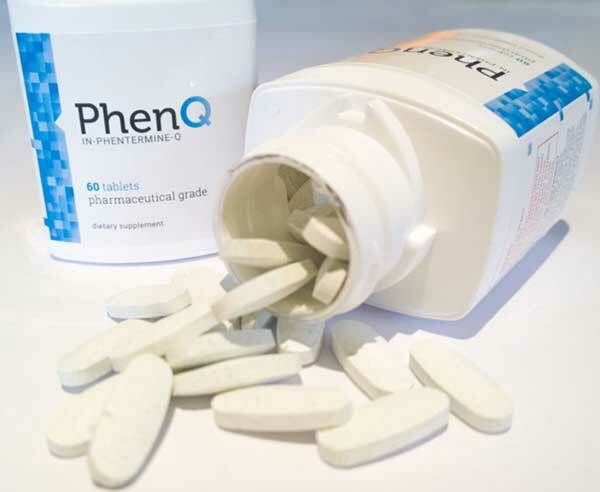 PhenQ can act as an appetite suppressant while simultaneously helping to burn excess body fat and blocking a percentage of dietary fat from food consumed. 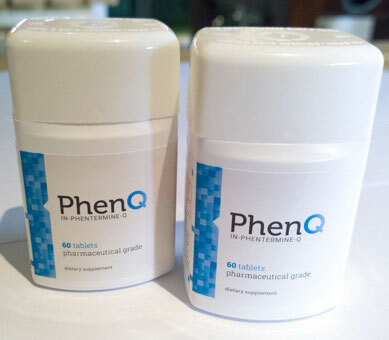 PhenQ is often described as an ideal alternative to Phentermine. Phentermine is a very effective appetite suppressant but it is not without its problems. It is prescription only and prone to side effects. Each of these abilities can support the weight loss process. Supplements that successfully combine appetite suppression and fat burning can help users to create a state where their body is burning more calories than their diet provides. Mood enhancers can prevent diet-related grumpiness leading to comfort eating, and any compound that can provide extra energy will be a bonus for anyone who is pursuing a low calorie lifestyle. Fat blockers limit the body’s ability to digest (calorie-laden) dietary fats. Bauer make much ado about PhenQ’s professed ability to combine so many benefits, and even go so far as to state each capsule is the equivalent of several other weight loss products, but in reality the same claims could be made for a number of competing products. So, good as it may sound, the hype is pretty standard stuff. Let’s hope the capsules themselves have more to offer. The PhenQ formulation contains a number of good ingredients and the bottom of the sales page provides links to several supportive studies. The main ingredient isa-Lacys Reset – a natural ingredient that can accelerate your metabolism, allowing you to burn even more calories and shift stubborn fat quickly. The fact that Bauer are offering customers a 60 Day money back guarantee provides ample confidence in the product. Capsimax Powder: A blend of black pepper extract, capsicum, and vitamin B3. Capsicum is a powerful natural fat burner that can speed up the metabolism to such an extent calories are burned up to 12 times faster than normal. Vitamin B3 assists the metabolic process, and black pepper extract ensures maximum absorption rates. Chromium Picolinate: A popular fat burning ingredient since the 1950s, chromium can also help balance blood sugar levels. L Carnitine Furmarate: Bodybuilding supplement manufacturers often use L Carnitine to provide improved performance and extra stamina, but it is probably included here because it also has the ability to act as a mood enhancer. Calcium Carbonate: Research suggests supplementation with calcium carbonate can prevent the body’s natural tendency to convert excess calories into fat. Nopal: A popular weight loss-enhancing ingredient that has been shown to be an effective appetite suppressant. Nopal also has the ability to bind with and isolate dietary fat, thereby preventing it from releasing its calories. Caffeine: A fast-acting stimulant that provides extra energy and focus. Caffeine can also suppress the appetite and encourage a faster-acting metabolism, but these abilities are often overlooked due to its renown in other areas. 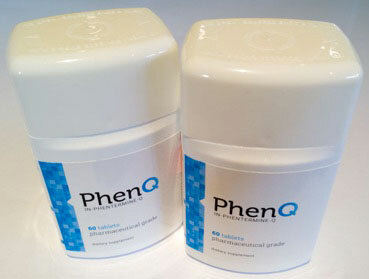 Side effects are unlikely, but Bauer states PhenQ is not suitable for ladies who are pregnant or breastfeeding a child. People who have existing health issues are advised to consult their GP before initiating supplementation. We are exited and convinced about the viability of a-Lacys Reset, the other ingredients are also credible; so the fact that customers appear to rate the product so highly does not come as a surprise because quality ingredients usually produce quality results. The offered 60 day guarantee period is very generous, shows Bauer’s faith in their product. We highly rate PhenQ. All orders are processed via the PhenQ website and customers have the option of paying by card or PayPal. Individual bottles have a price tag of £45.95 (or around £26 per bottle if the buy 3 get 2 free offer is taken), but bulk buy options are available and customers who order multiple bottles are also provided with complementary products. There are no additional charges levied for postage and packing, and worldwide shipping is available.